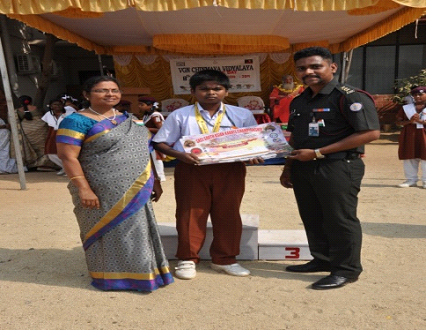 G.Dushyant of Std VIII has won the 3rd place in the SKCI South Asian Karate Championship Tournament, conducted on 29 – 30, Dec, 2018. 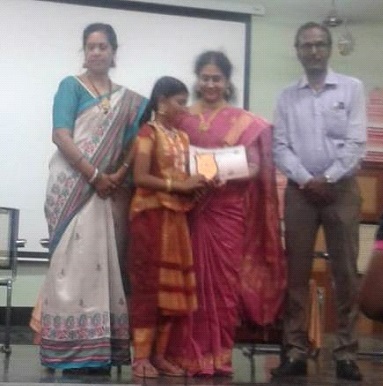 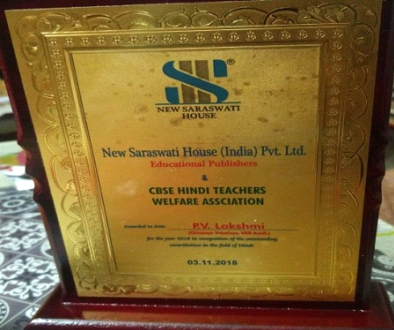 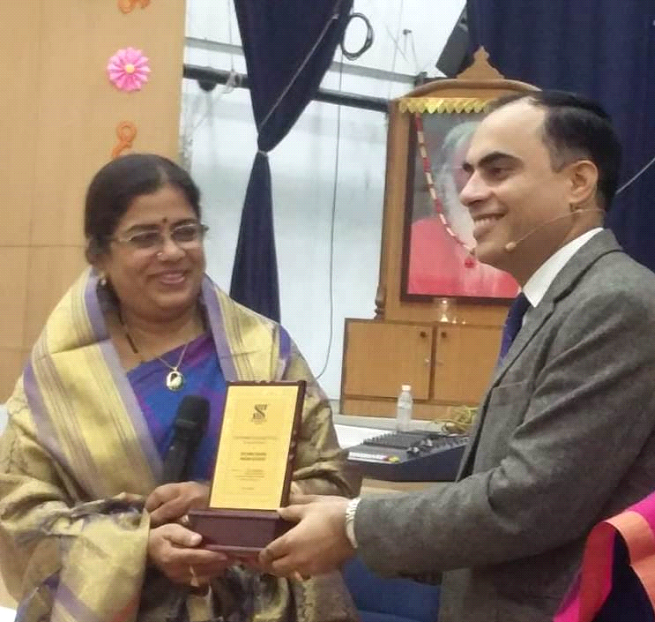 Our Vice-Principal, Smt.P.V.Lakshmi was awarded in recognition of her contribution to the field of Hindi by the New Saraswathi House (India) Ltd, in collaboration with the CBSE Hindi Teachers Welfare Association. 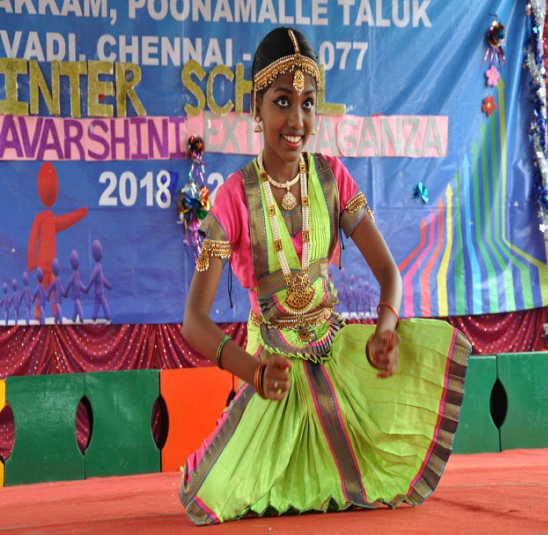 Many of our children showcased their talents and skills by participating and winning in a cluster of competitions, conducted by a neighbouring school. 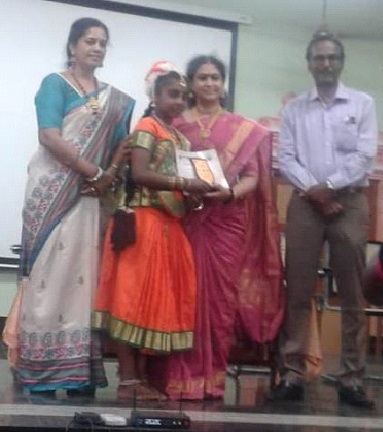 We secured first and second prizes in solo song, first in solo dance and third in group song. 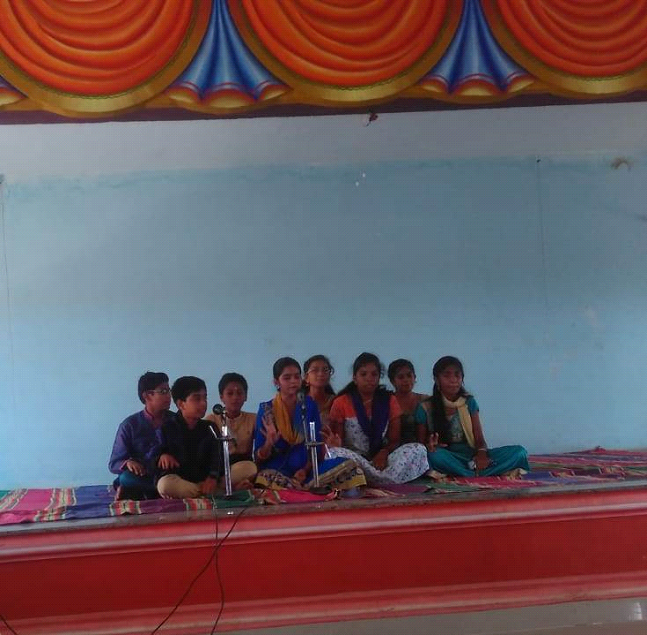 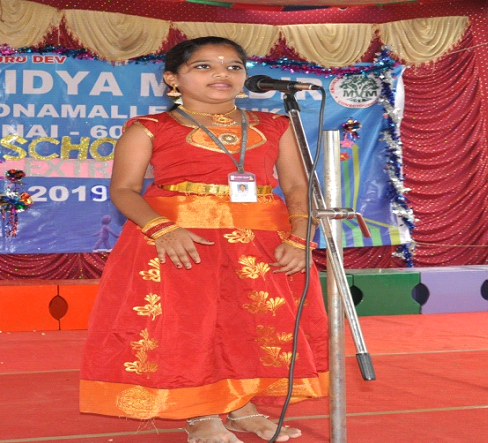 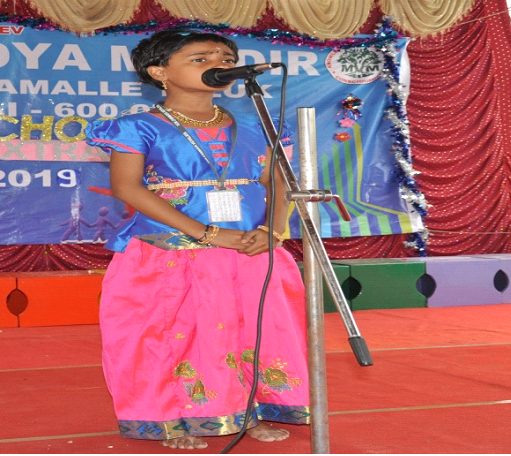 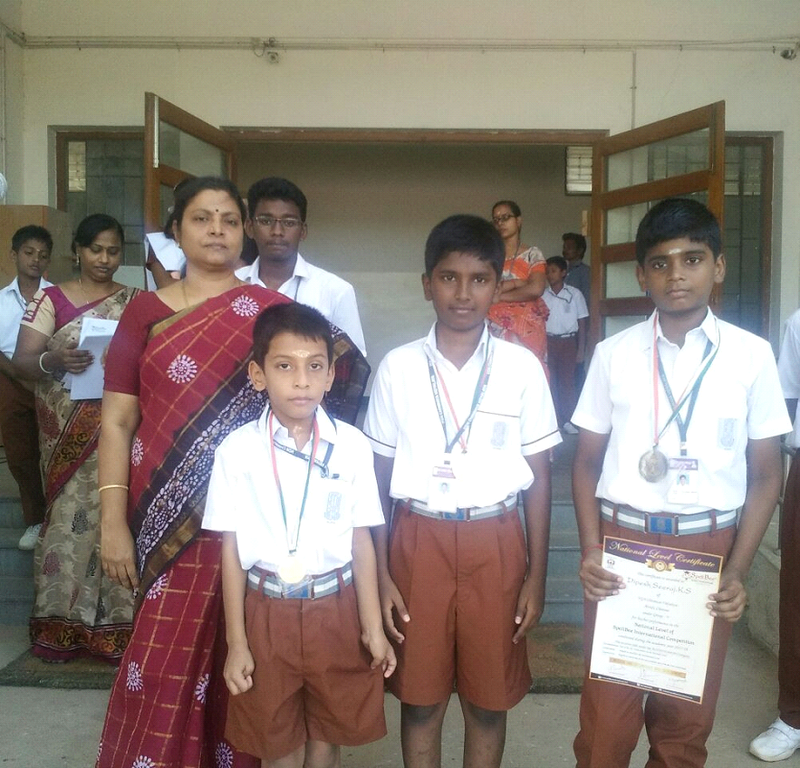 Many of our school students, under various genres and levels, had participated and won in an inter-school competition organised by one of the neighbouring schools on 14.07.18. 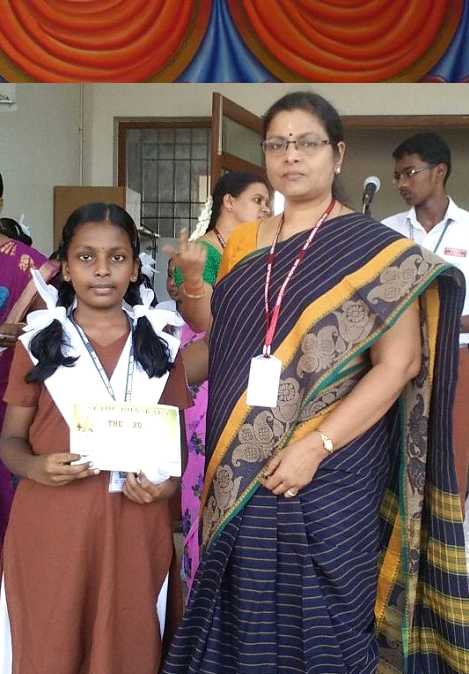 Many students of our school have crossed various levels of the Spell-Bee exam in the year 2017-18. 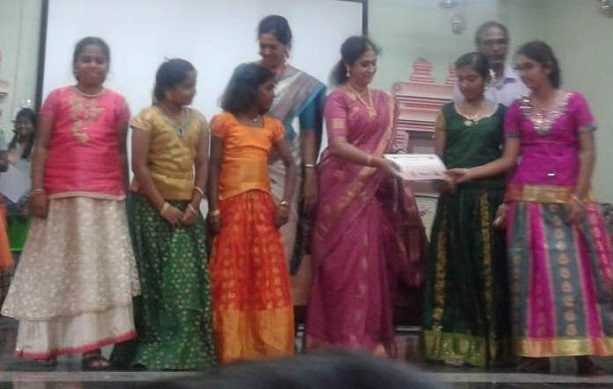 Twenty two children have proved themselves eligible for the final level - the International Level. 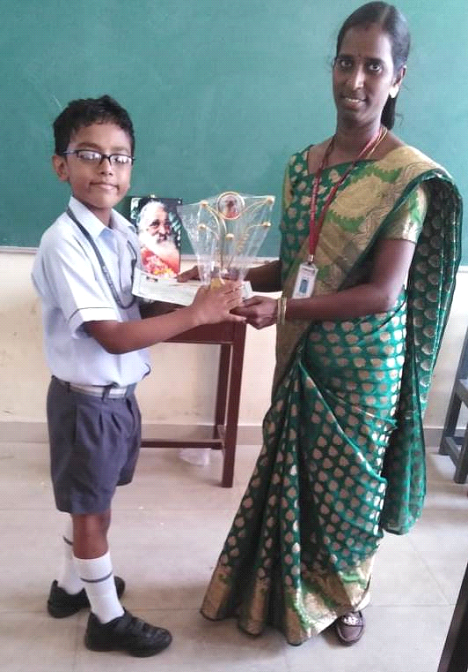 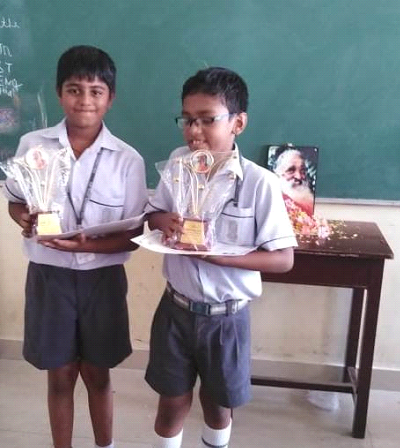 Dipesh Seeraj of class V and C.Janani of class IX are the toppers, scoring above 90%. 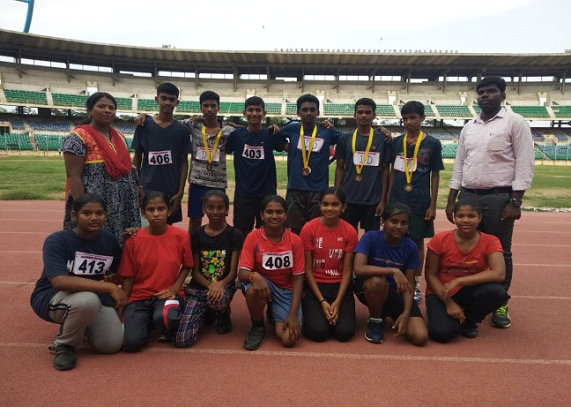 Many of our students from various levels and categories took part in an inter-school competition, competing with many schools. 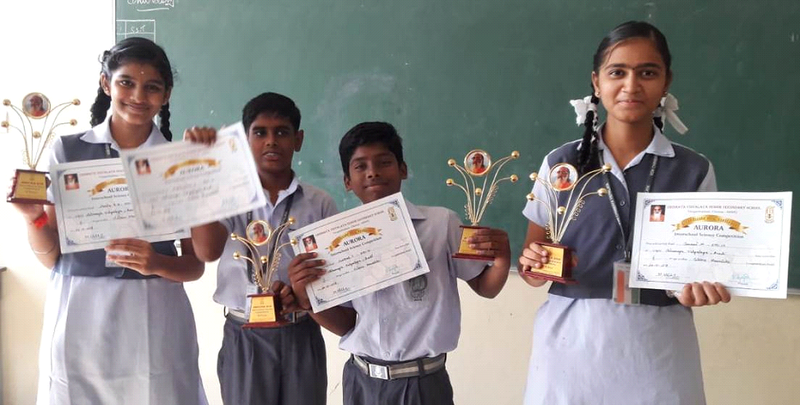 On proving their talent and worth, they have bagged many prizes and brought glory and honor to the school. 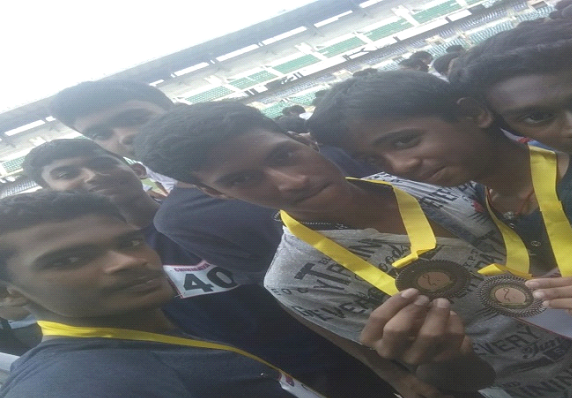 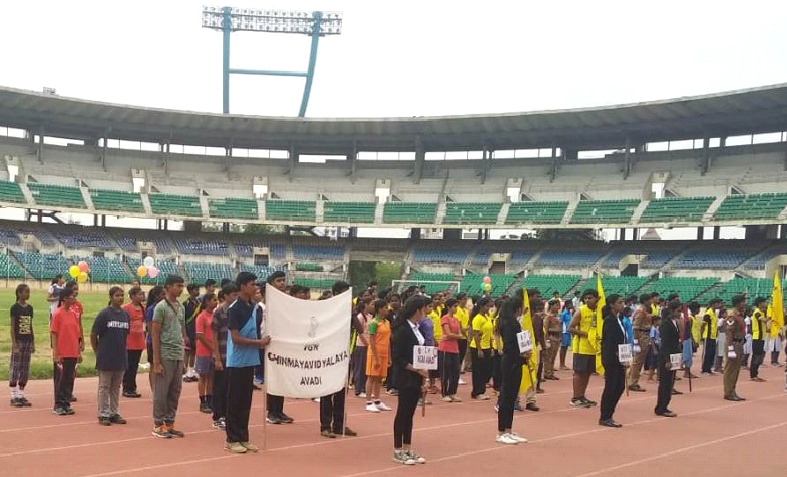 Our students took part in the Inter Chinmaya Sports and Games, Chinmaya Khel Sangam 2018 held at the Nehru Stadium conducted by Chinmaya Vidyalaya, Taylors Road as a part of its Golden Jubilee Celebrations. 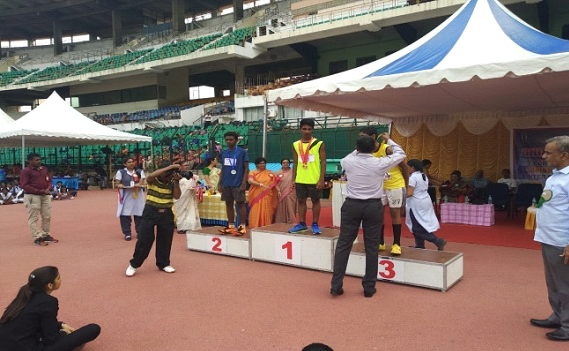 Vinston Nadar has won the second place in 200m dash and our boys the third place in 4x100m relay.